'Blazing Sunset' flowers early, producing prolific, fully double, scarlet flowers over a long period. The flowers are huge for a geum. Grow it in the flower border and cottage garden, or for a dazzling cut flower. 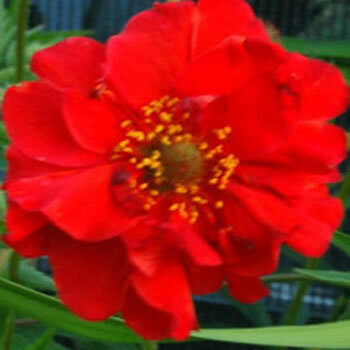 This plant does best in full sun and prefers moist, well-drained soil..